KNOXVILLE – Eleven endangered African painted dog pups were born at Zoo Knoxville on January 2, 2019. The pups are currently being monitored by video camera in their den and appear to be healthy and thriving. This is the second litter for mom Swiss and dad Puzzle. 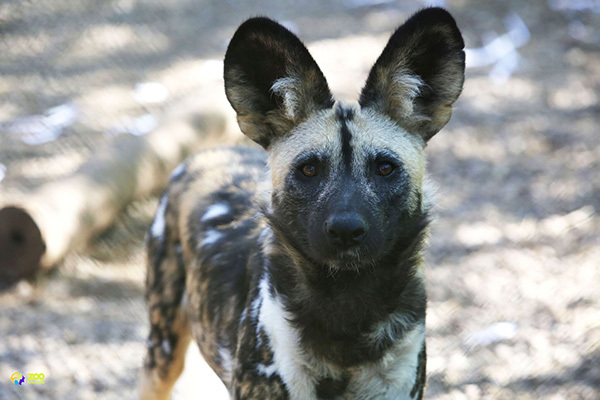 Zoo Knoxville is one of 34 zoos accredited by the Association of Zoos and Aquariums (AZA) working to save their species as part of the African Painted Dog Species Survival Plan, a collaborative effort that works on a national level to maintain a healthy genetic population. Species Survival Plans work to ensure a reserve population of endangered animals that are threatened in their native range with the long-term goal of supporting those populations. African painted dogs are endangered, with only 6,600 estimated to remain in the wild in Africa. Their numbers continue to decline as a result of fragmentation of their habitat, conflict with humans and infectious disease. In the U.S., approximately 160 painted dogs are housed in 34 accredited zoos. The pups are expected to begin venturing out of their den at about one month of age. Their arrival brings the total number of African painted dogs to 18 at Zoo Knoxville.